An oasis can be formed in many ways, both natural and human-made. An oasis refers to an area that is fertile and has water within an area that is arid. Oases are found throughout the world. 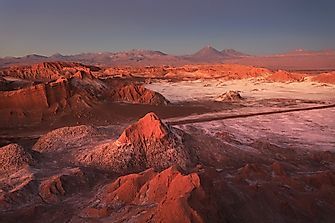 The unique geographical formations are critical in supporting life in the deserts and in other arid regions. Life is harsh in the desert, but the presence of an oasis makes it bearable. An oasis can be formed in many ways. In some cases, it is formed when faulting and climatic conditions create a depression in an arid region. Over a long period, the depression is deepened and enlarged by harsh weather conditions in the desert. The depression deepens further and reaches the water table. The underground water comes to the surface to form an oasis. An oasis is also formed when water from underground aquifers and rivers are pushed to the surface. Surface rivers, rainstorms, and other natural factors also lead to the formation of oases. Additionally, some oases are human-made where people drill wells in arid places. Humans dig wells in places where underground pressure is not strong enough to bring water to the surface. Lastly, some oasis such as Hveravellir in Iceland are formed through volcanic activity in the areas they are found. Oases are always important water sources in the dry places where they are found. Their unique features need to be protected from drying up. In some places, the oases are maintained by nature and in other places, humans take the initiative to protect them. 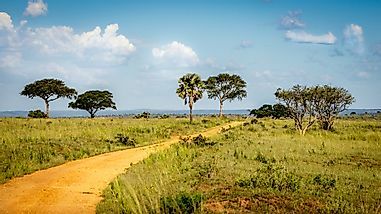 In most cases, the thick vegetation that surrounds the oasis provides shade in the area and protects the oasis from harsh climatic conditions. The plants also help retain the underground water and therefore sustain the oasis. Local communities living near an oasis are often careful to preserve the sources that supply water to the oasis such as rivers, lakes, aquifers, and streams. Al-Hasa Oasis is said to be the world’s largest oasis. It is located in the Southeastern region of Saudi Arabia. The oasis covers an area of over 30,000 acres with approximately 280 springs scattered throughout the area. Al-Hasa Oasis is the world’s biggest palm tree oasis with more than 1.5 million palm trees that grow in the region. 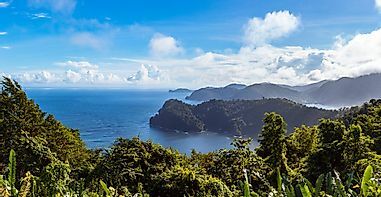 The area experiences a tropical climate. Al-Hasa Oasis is the greenest place in the mostly arid gulf nation of Saudi Arabia. It accommodates approximately 600,000 habitats. The oasis has been a critical farming area in the Arabian Peninsula for several centuries, and presently it continues to be the leading areas where most agricultural activities take place. The Al-Hasa area is found within the world’s richest oil fields, and therefore, it makes the oasis a very significant center of international commerce. The Ubari Oasis is situated in the Sahara desert in the Southwestern part of Libya. The oasis has salty water like the water in the Dead Sea. It is an important trading point for Libyan merchants who sell souvenirs and other commodities. 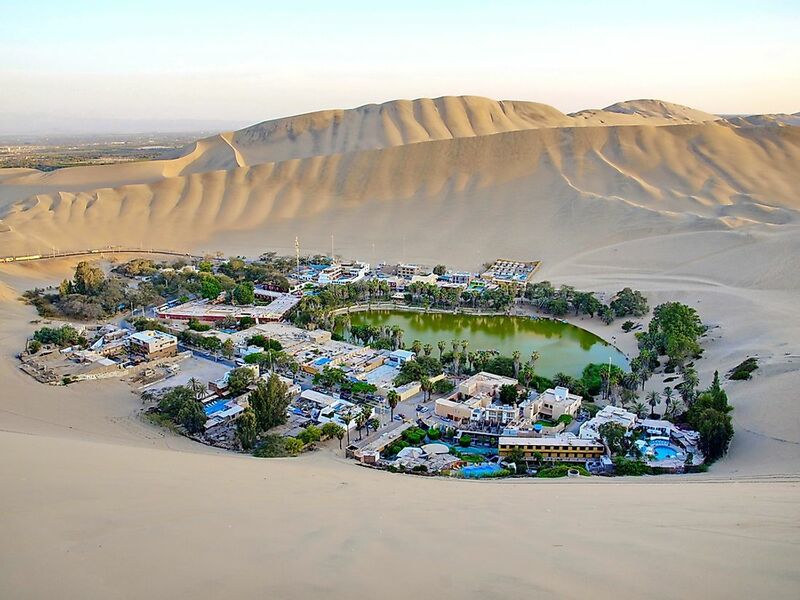 Oasis Huacachina is found in South Western part of Peru. The Oasis is fondly referred to as the “Oasis of America.” It is a green area in the Peruvian desert covered by palm forests and other vegetation. 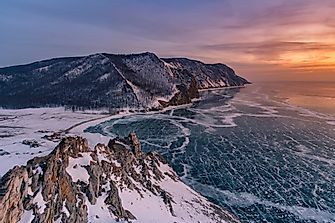 It provides a get-away for people from the noisy city life. The oasis is home to approximately one hundred people. The Oasis is found in the Lençóis Maranhenses National Park in Brazil. It is a beautiful oasis made of many hues. 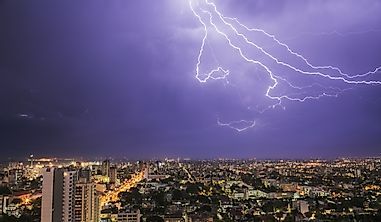 Due to its proximity to the Amazon basin, it experiences heavy rainfall in the first half of the year. The oasis has fresh water that is collected during the rainy season. 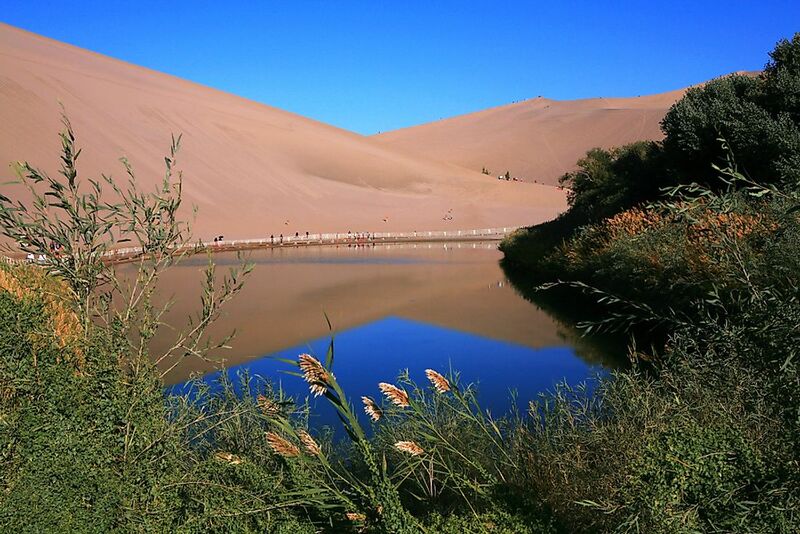 CrescentLake is an oasis in the Gobi Desert in China. The oasis derives its name from its unique shape. It is situated only 3.7 miles from the Chinese city of Dunhuang. The oasis is an important water source for travelers on the famous Silk-route in China. Visitors to the area are treated to camel rides. Sadly, the Crescent Lake faces the threat of drying up due to declining rainfall and aggressive agricultural practices around the lake. This oasis is found in the Sahara Desert in the northern part of Niger. It is a scenic place in the middle of the Sahara. It has a variety of plants such as palm trees, oranges, dates, and pomegranates. The oasis is near the Air Mountains. Oasis Turpan is found in China in the City of Xinjiang. The oasis is only 5 miles from the ruins of city of Jiaohe. The area experiences a cold desert climate. The harsh weather includes chilling winters and long hot summers. Provides irrigation water for diverse crops that grow in deserts. 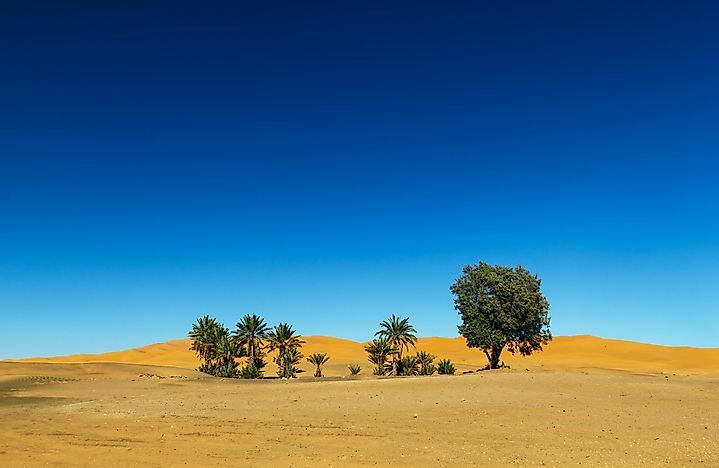 Countries such as Egypt, Saudi Arabia, Tunisia, Libya, Morocco, and Niger are mainly arid and largely depend on oases to produce crops. Rare desert animals depend on the oasis for their water supply. 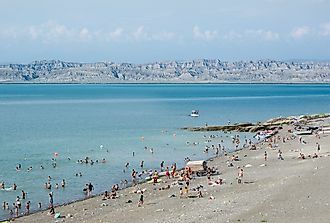 An oasis is often an attractive and scenic place for visitors. Most oases are tourist attraction sites which attract numerous visitors due to their unique features. For example, Las Vegas, which is situated in an oasis, is a world-renowned tourist destination. Historically, an oasis has been a good trade center for long-distance traders in the desert. It served as a restful place for commodity traders after long treks through the deserts. Nomadic communities rely on oases for shelter from the harsh desert climate. The oasis also provides food and water for their livestock.